Another day, another book (I like Bank Holidays). I came across this book through the London event to celebrate the 25th anniversary of Faith in the City. What’s really encouraging about it is the way it brings together writers from a variety of different church backgrounds, all eager to get beyond ecclesiastical in-fighting in order to serve people in urban areas. To pick out two, Jon Kuhrt’s two contributions and Mandy Ford’s reflection on ‘bring and share’ and the Eucharist both resonate with my own experience in Hackney. People working in areas of pressing social need are – in my personal experience here in London – more ready than most to look beyond the tribal boundaries and the theological shibboleths. But that won’t be enough to resource urban mission. The unarticulated challenge of this book is to the rest of the Church. Taking up again the Archbishop’s comments on economic life that I alluded to in my previous post, the resources for urban mission and transformation can only come from the resource-rich areas of the Church. They only will come, though, if people across the whole Church become less suspicious of those who are different from themselves. Theological discrimination is rife within the Church of England, but if it is to be true (as the Bishop of London says among others) that ‘the poor are our teachers’, maybe this is what the rest of the Church has to learn from the churches in inner urban areas. it would be encouraging if this book were to serve to reduce the mutual back-biting of different factions in the Church, as one of the forces behind its production was a response from evangelical members of General Synod to the 2006 report Faithful Cities. The report was criticised for its perceived failure to address issues of mission and proclamation in inner urban ministry. 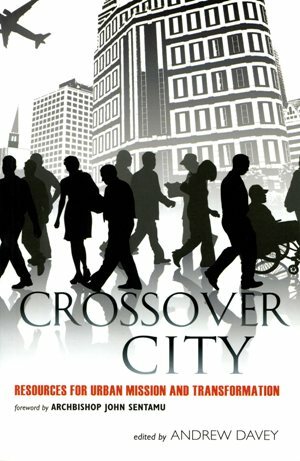 Crossover City certainly meets that criticism, in my view, but will there now be a more whole-hearted support across the whole church for ministry in areas of deprivation?